Have you ever wondered how the Aztecs might have designed a circuit board, or what crop circles would look like if aliens had a taste for Art Deco? 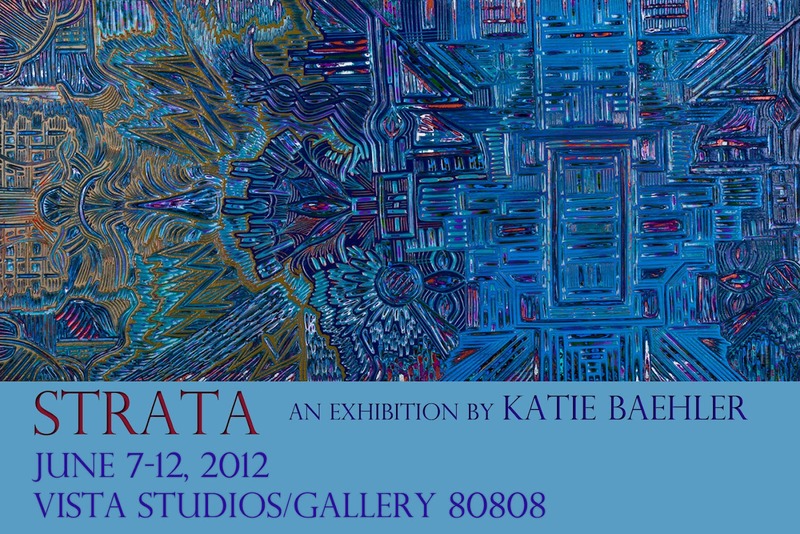 The paintings of Katie Baehler may give us an idea. 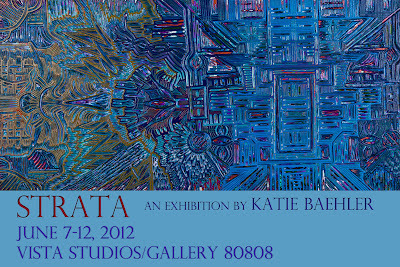 Strata, on display June 7-12, 2012 at Vista Studios/Gallery 80808 (located at 808 Lady Street in the Congaree Vista) will showcase carved acrylic paintings from the Strata series, as well as oil paintings. The exhibition will be open to the public weekdays 11-7, Saturday 11-5, and Sunday 11-3. 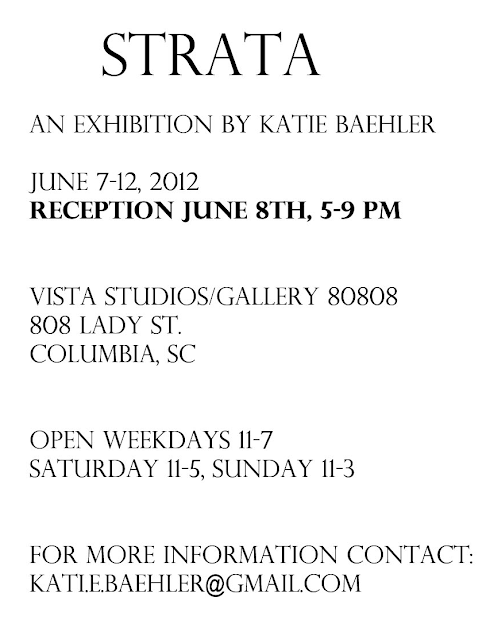 An opening reception for the artist will be held June 8, 2012, from 5 to 9 PM. The main attraction of this show is the carved paintings, which are created using 30 or more layers of paint; these are then carved to show the layers of paint, much like a crosscut of geologic strata. Baehler’s oil paintings will also be featured; these are created using a more traditional technique, but still display the same types of intricate patterning. 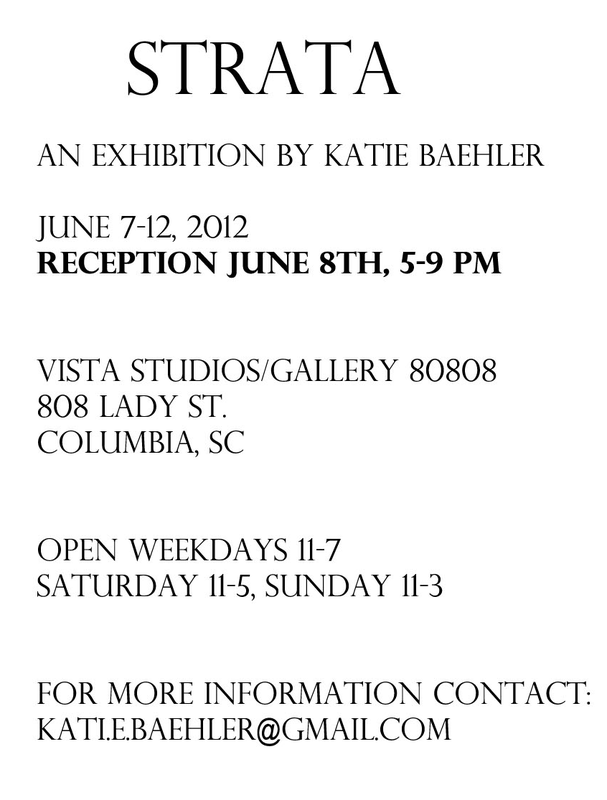 Katie Baehler is a native of Spearman, Texas, who has lived in Columbia since 2006. She studied Printmaking and Art History at USC, and graduated in 2011. She has shown her work in a BFA exhibition Devil in the Details at the McMaster student gallery in 2011, the Ink & Paper exhibition at the Columbia Museum of Art in 2011, the Union County Arts Council Competition in 2011, and received the 1st place undergraduate award at the USC Student Art Exhibition in 2011. While at USC Baehler also received the Ed Yaghjian student award in 2010, and was President of the Ink & Paper club.